The Hotel Arlino puts at the disposal of the guests, bright and functional guest rooms, simply furnished, and ideal for relaxing, especially after a nice day at the sea in Rivazzurra di Rimini. A perfect place for you to come back at the evening, tired but happy, after another intense day of sea and fun. 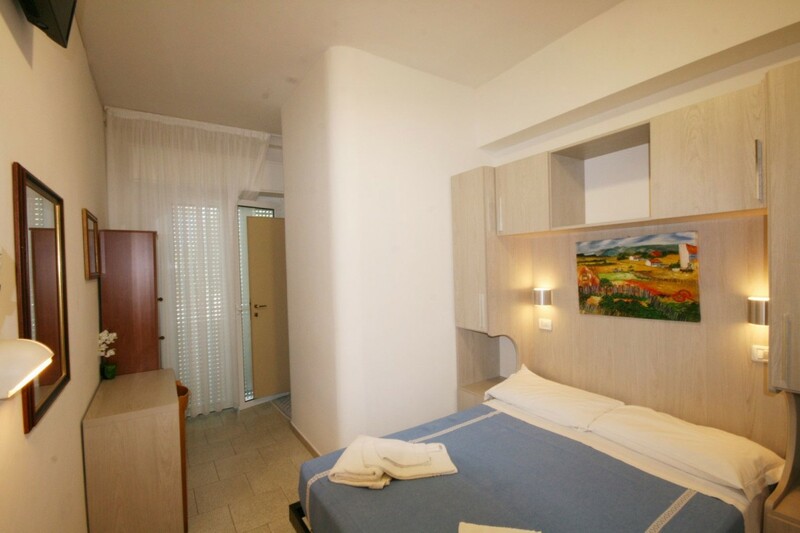 All the rooms of the Hotel Arlino are equipped with air conditioning, internet and individually controlled, private bathroom, hairdryer and toiletries. Also in the room are: direct dial telephone, safety box, satellite tv and free wifi internet. All the rooms of the Hotel Arlino also feature a balcony. For children cots and cribs.